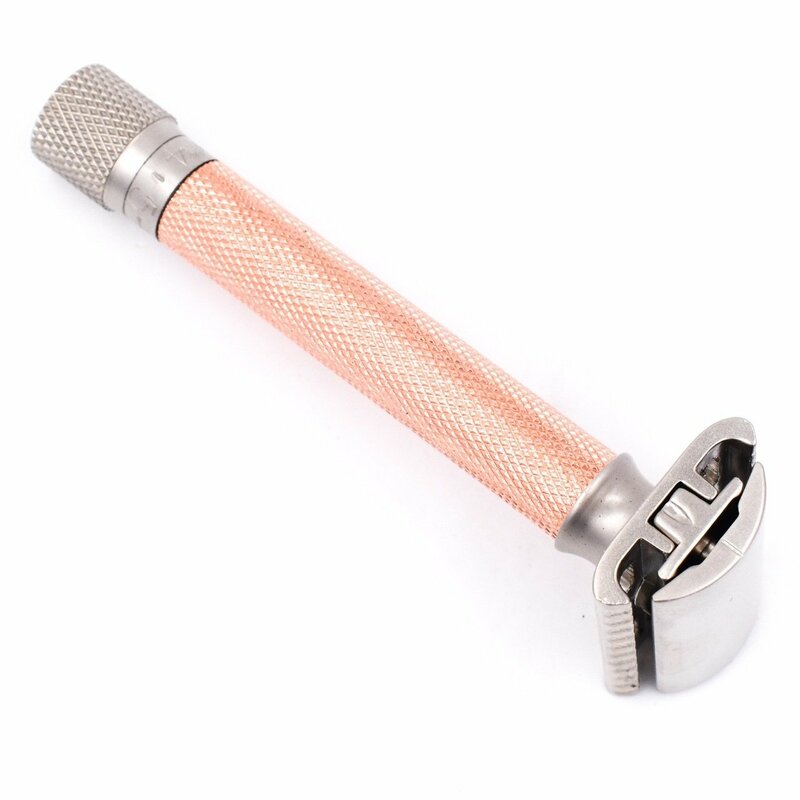 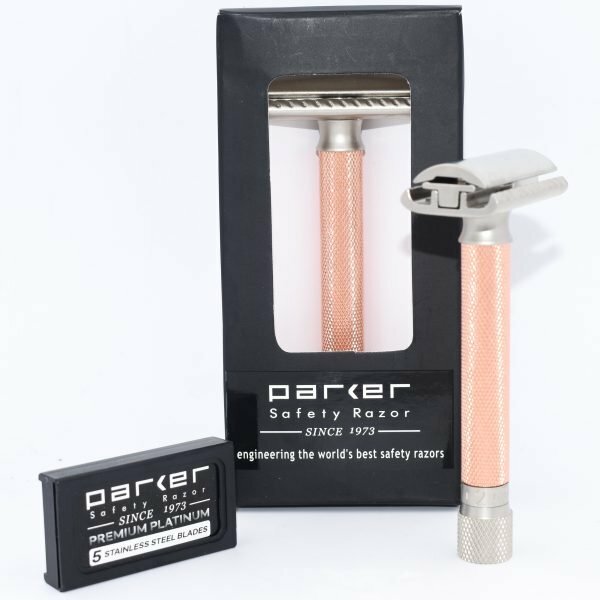 The Parker Variant Adjustable Safety Razor in Rose is a precision tool that is perfect for beginner wetshavers and experts alike. 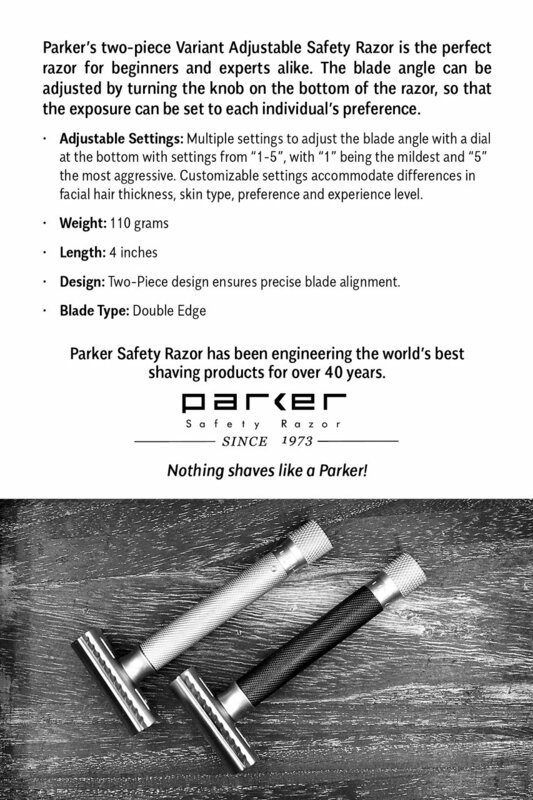 The Parker Variant Adjustable is a precision tool that will serve you well for many years. 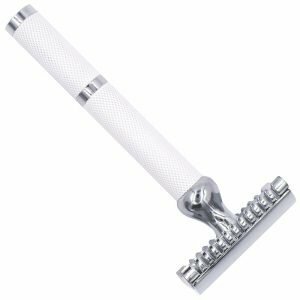 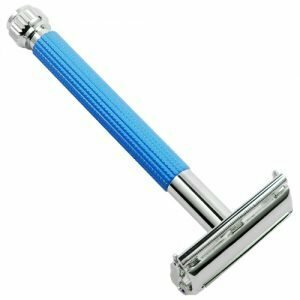 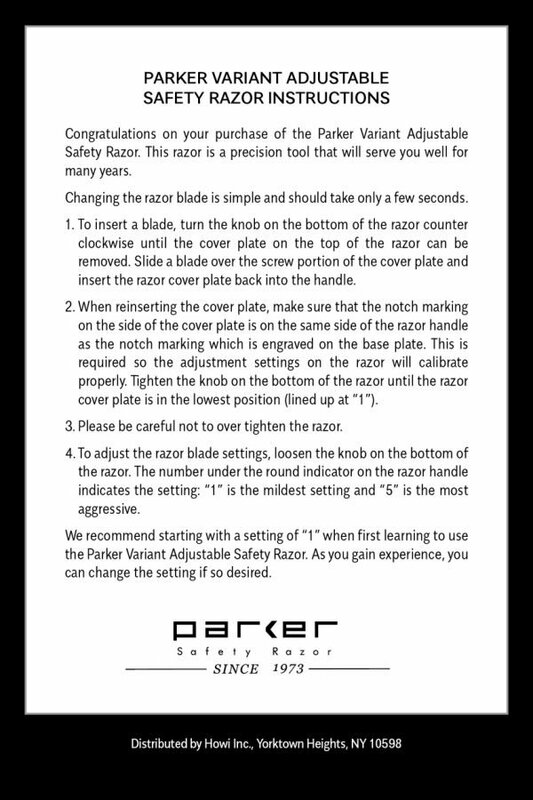 It is the perfect razor for beginners and experts alike. The blade angle can be adjusted by turning the knob on the bottom of the razor, so that the exposure can be set to each individual’s preference. 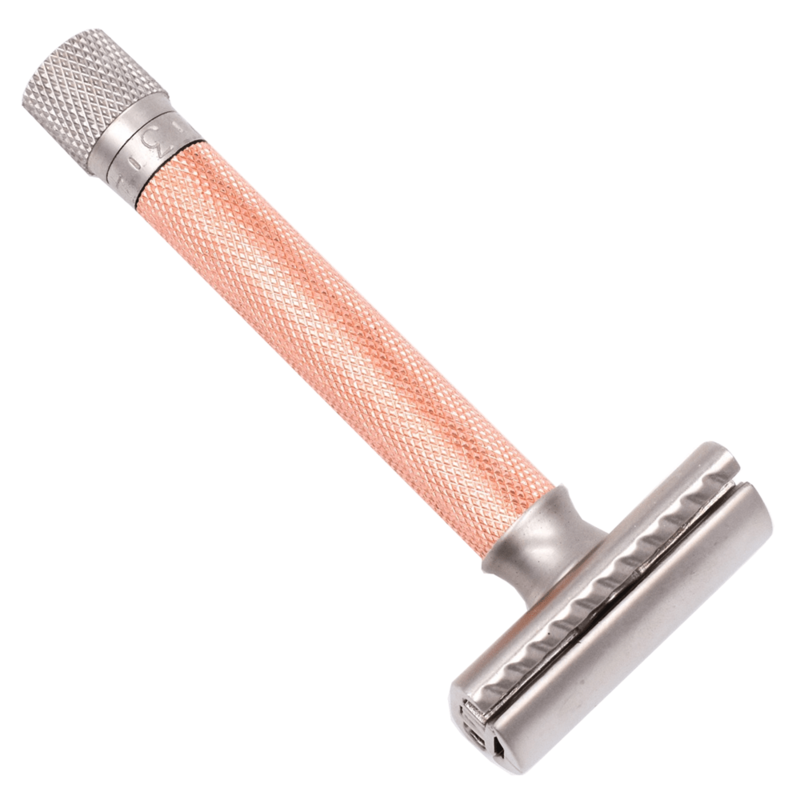 This beautifully designed rose gold colored handle is a heavyweight, smooth shaver. Parker Safety Razor has been making the highest quality, precision engineered safety razors for over 45 years. Adjustable Settings: Multiple settings to adjust the blade angle with a dial at the bottom with settings from 1-5, with 1 being the mildest and 5 the most aggressive. 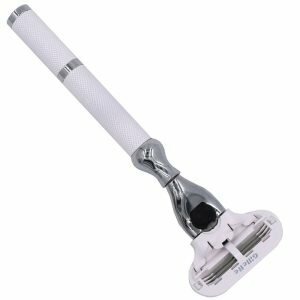 Customizable settings accommodate differences in facial hair thickness, skin type, preference and experience level.